The Grip-Lite Side Clamp is one of the most widely used side clamps with nearly 20,000 sets sold! Tired of heavy, hard-to-squeeze and use side clamps for your Longarm / Midarm quilting machine? Or clamps that grip and pull on only an inch or two of the quilt thereby distorting the side of the quilt? No more! The Grip-LiteTM side clamps are super lightweight providing a secure 6-inch grip and easily opened with one hand! Each clamp comes with 6 feet of double-sided VelcroTM and a short elastic strip for fast attachment to the frame. 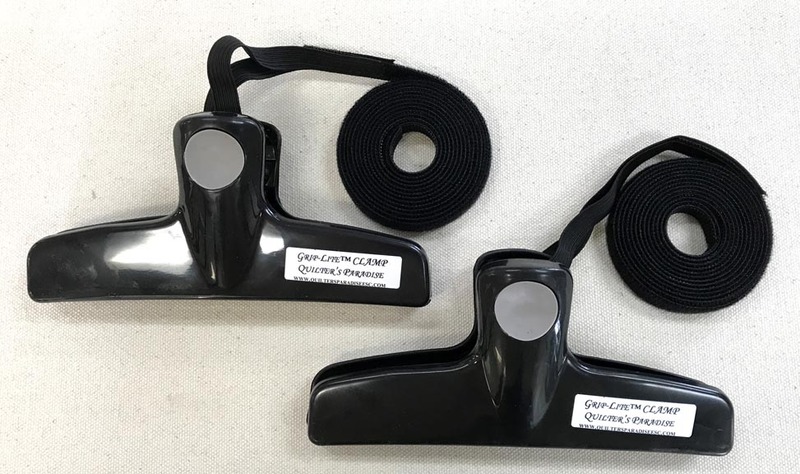 And testing your machine's tension has never been easier ... click for more information and frequently asked questions about these wonderful clamps! Please note that the clamps come in either red or black. If you have a color preference, please specify the color you want in the "Special Instructions" box on the shopping cart's checkout page when you place your order. 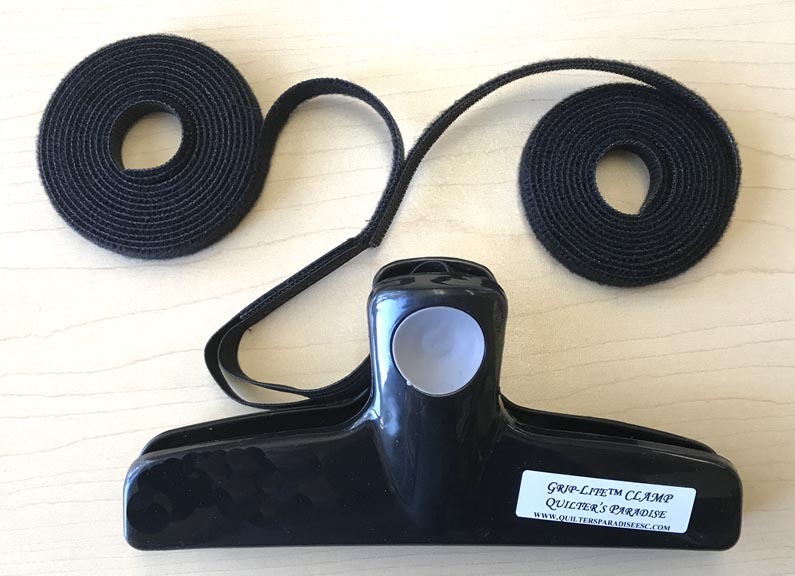 This clamp is the same as the standard Grip-Lite Side Clamp featured above but with a second Velcro strap. It is designed to work with frames that have no horizontal bar on the end for the strap of the clamp to attach to. Instead, each Velcro strap quickly and easily attaches to both legs at the end of the frame.